Are you a dog lover who likes a designer breed? Then, the Corgi Inu could be what you’re looking for! This canine is the mix of a purebred Shiba Inu and a Pembroke Welsh Corgi. It is commonly known by people as Corgi Inus, too. Its name sounds like an adorable breed with an appearance that never disappoints. However, the question is; does it make a good pet? In this article, we’ll discuss Shiba Corgi in detail - its origin, general characteristics and health conditions. The Shiba Inu dog breed was initially bred to find and capture birds from their hiding places and occasionally to hunt down wild boar. It is known for its spirited personality, small upright ears and cat-like agility. In the modern world, most dog lovers in the USA and Japan consider it as a great companion pet. This is a very active breed that needs regular exercise; may it be a long walk or engaging play sessions. Although it may depict its independent nature and at times show dog aggression, it is known to get along with children - a friendly dog to those it loves and cares about. It can be very aggressive towards strangers as well as other dogs. It needs adequate training on obedience and socialization from an early stage in order to be suitable in a home setting. When it comes to grooming, it is quite independent . It does the clean-up itself like a cat by liking the paws, fur and legs. With its seasonal shedding, it only needs occasional grooming and bath. The Shiba Inu’s life expectancy is about 15 years. It is known to be one of the healthiest breeds among the canine world. Nevertheless, it is still prone to some health conditions like allergies and others. In addition, it has a distinguishing characteristic known as the ‘Shiba scream’. This is a loud, high-pitched scream that it produces if provoked. 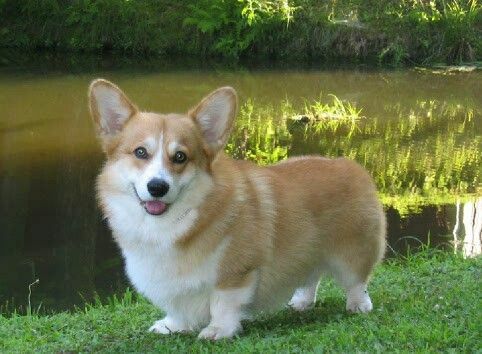 The Pembroke Welsh Corgi can be traced back to as far as the 1107Ad. Originally, it was bred to herd cattle, horses and hunt rodents. Although it is relatively smaller than most dogs, it used to take its job seriously; and still does. In the modern world, it is used in farms and ranches as well as a good energetic family companion. It is known to be smart and alert, making it a suitable watchdog. The Pembroke is a very strong and athletic pooch that really loves physical activities. Hence, long walks and jobs here and there works best for it. This is a dog that requires high levels of training and advanced obedience schedule; otherwise, it can be destructive if left alone. The Pembroke Welsh Corgi sheds occasionally; therefore, it needs regular grooming. It is born with a natural short tail, or in some cases missing. It likes being included in family matters - pleasing its owners and following them around. So, training sessions can’t be that hard for it! As an alert dog that only barks whenever necessary, it is qualified as a great watchdog! However, due to its herding instincts, it playfully loves to chase anything that moves. With a life expectancy to 15 years, its health condition is moderately good. The Shiba Inu Corgi mix is a loyal dog with a high IQ, making training easy. It is well-mannered and calm; hence, it can get along with children and other pets. The Shiba Corgi has a lot of energy and excitement packed in that little body. Well, with both the bossiness of the Corgi and stubbornness of the Shiba, this hybrid can be difficult to train. Consistency is needed when training it. Nevertheless, it is a protective pooch that is always ready to defend its owner from any threats. The hybrid has a hunger for prey due to the inherited hunting and herding skills from its parents. Therefore, it needs to be on leash when going outdoors, if not well trained. The Shiba Inu corgi mix has a thick and dense coat that resembles its parents. Commonly, it has a fiery red-colored coat, which is the common colour from parents. However, it is possible to find it in different shades, depending on what colours its parents are. These shades may include; white and cream or white and brown. Also, it may come in either a long or a short thick tail that is often curled. It could have a foxy appearance owing to the nature of their parents. Due to excessive shedding, the hybrid needs constant grooming. It is advisable to brush its coat at least once daily to reduce the impact of shedding. A typical Shiba Inu Corgi mix weighs about 17 to 25 pounds with a height that ranges from 10 to 14 inches. Since both the Shiba Inu and the Corgi have an equal life span, the hybrid can live up to 14 years. In most cases, the Shiba Inu Corgi mix has good health conditions, but the owners are advised to watch out for genetically transmitted diseases that may have affected the Corgi and the Shiba Inu, for example, hip dysplasia and eye issues. 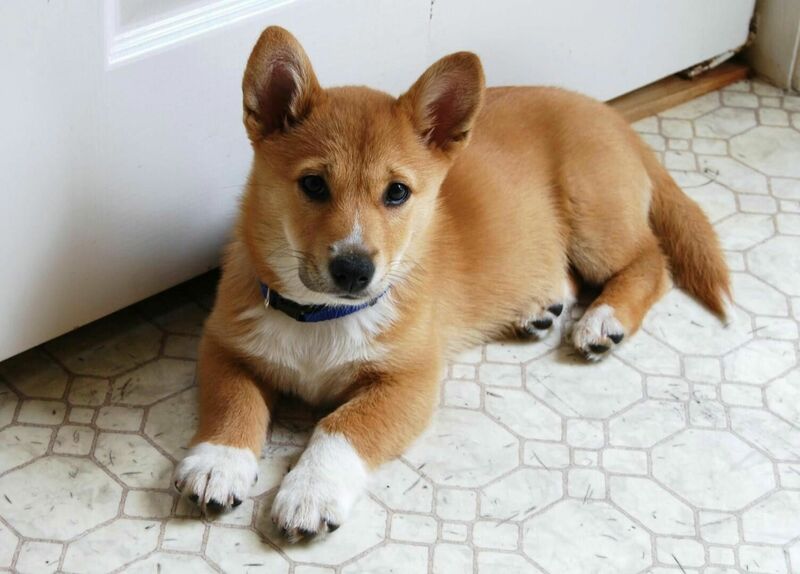 The Shiba Inu Corgi mix proves to be a perfect watchdog since it is capable of announcing any strangers approaching. If you are looking for a perfect watchdog, be sure to consider this hybrid! Having a Shiba Inu Corgi mix will not only protect you, but it will also play around with your kids. When it comes to owning or liking a designer dog, the preferences differ individually. Be sure to do intensive research on the parent breeds and choose an expert breeder, if you want one!